*Sunday, October 8, 2017, at the Homestead Museum’s annual Ticket to the Twenties festival – My performance takes place upon the museum’s lawn stage and begins at 3 p.m. Following the performance, I will lecture about Barbara’s commendable career and contribution to cinematic history. The entire festival is FREE to attend and features silent film, vintage jazz, dancing, performers, and more! For additional information, click here. *Saturday, October 21, 2017, at Hollywood Forever – My performance is part of the Los Angeles Art Deco Society’s 34th Hollywood Forever Cemetery tour. Also featured on the tour are the stories—told by performers and historians—of silent screen god Rudolph Valentino, action hero Douglas Fairbanks, actress and William Randolph Hearst mistress Marion Davies, filmmaker Cecil B. DeMille, slain director William Desmond Taylor, and over twenty other legendary stars, movie moguls, and pioneers who made Hollywood and history. Tickets are selling quickly! For tour times, ticket information, and more details, click here. 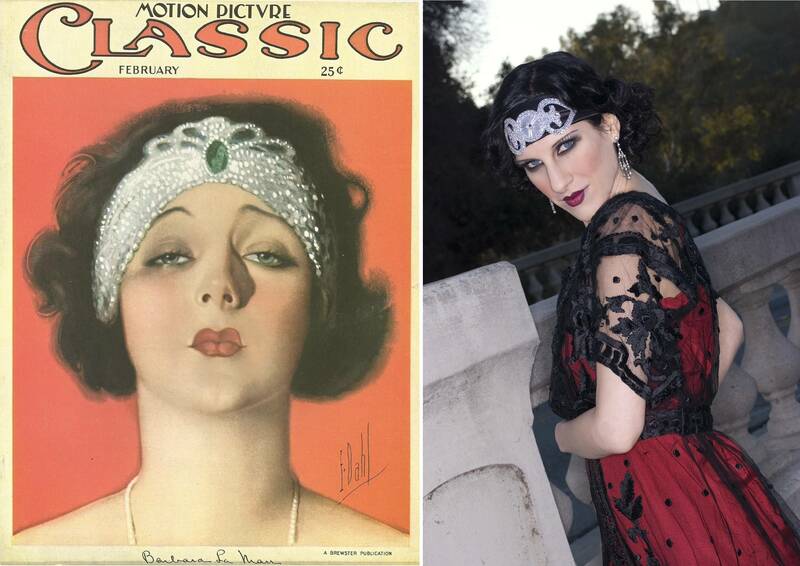 This entry was posted in Performances as Barbara La Marr on September 22, 2017 by Sherri.